Re: Wanted: De... or Alive! Wow, I come back after a long absence and this has turned into the Wild, Wild West!!! That one made my day! That's also what I love about this forum and community, we have so many serious people with a lot of experience on magick and the occult, knowledgable over so many different subjects, but everyone is also so positive and with a great sense of humor. Lots of great energy! 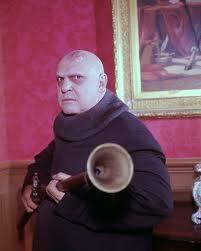 Uncle Fester, Please tell Maxx too change his avatar to the pyramids again please. Maxx... You really surprised me. The Hunter and the Pyramids. ^^ The key to found Asetianism. That was a nice choice, Maxx. N.Augusta wrote: Patience with that, Fester! I have to admit.. You're so HOT my sweet Wife. 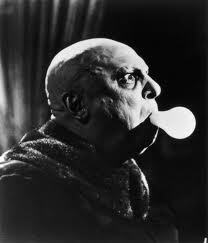 Oh Gomez, darling, you handsome fella you--- you are making me blush. Just that dreamy look in your eyes tells me you're in the mood for a good kind of trouble. Shall we go piss of the neighbors then by throwing their patio furniture in their pool again darling? Oh what fun!!! Fester, bring the toilet paper-- you and grandma can decorate their trees again. The children will be busy with the nuclear science project-- so we can sneak away. And grandma, please, no tree swinging, we'd hate to bother Lurch again for that. Lol, what happened to the pic I posted here? Hehehehe. Sure, Gomez, have at it. Oh and grab some hay too while your at it.